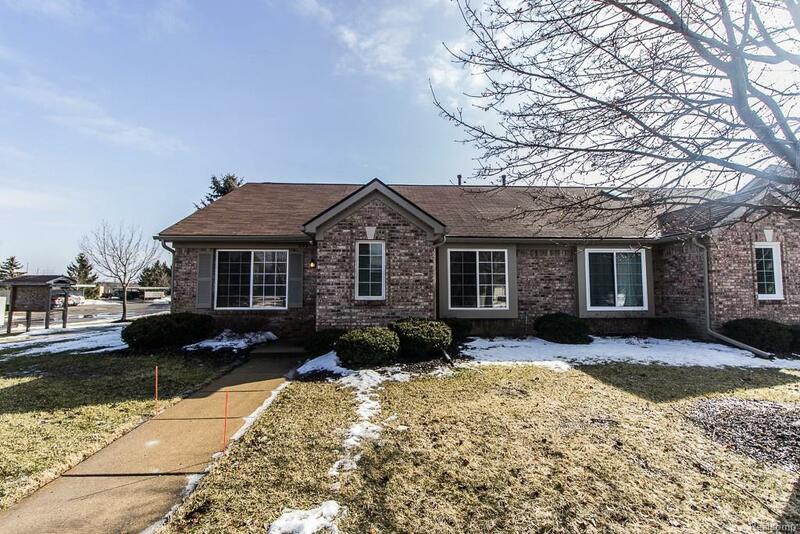 Don't miss this hard to find end unit, ranch condo w/detached garage. Enjoy the great room from the open concept kitchen and it's dine in bar to living room and it's vaulted ceiling. The spacious master bedroom also boasts a vaulted ceiling. The 2nd bedroom can also be used as a den or office right off the great room. Bbq in the summer (or winter if you're brave!) on the patio. Close proximity to I-96 and US 23 for commute to Detroit area, Lansing, or Ann Arbor. Come to the open house or set up your private showing!